JOEY IS DEAD!!!!! WAVES OF INDICTMENTS COMING TO PHILLY NEXT!!! This is totally different for merlino, he's on tape talking about crime! This is a first! I don't care how good Eddie Jacobs is, you can't defend a tape! Joeys done! For 5 Years!!! They Got Him On Camera! And Bugs!!! It's All !!!!! Over For Skinny!!! He Was Talking To Informents In Is Crew In Florida!!! And They Came To Philly And Down The Shore! The Informents Had Body Camera's On Them And Wearing A Wire!!!! Philly Guy's Are DEAD!!!!! It's All Over For Theses Morons!!! Back Tooo 6th And Arch Street!!! You mean the 6th n arch in Ny..or one in Fla.? It looks like Uncle Joe is DA BOSS OF DA SOUTH PHILLY MOB AGAIN!! MR.PHIL NARDUCCI IS THE REAL DEAL! They Got Johnny Chang On Camera And Bugs!!! He Was With Joey In Florida And Talking To All The Informents!!!! Uncle Joe for pres !! I Told You This Twigs Last Summer!! Next Is All Of Joeys Guy's In South Philly!!! Big Time Indictments COMING!!! It's time for Kathleen Kane to release the Merlino File. She's going away with Joey anyway. Joey Is Looking At 20 Years! Plus His Priors He's Going Too Get Hit With 30 Years!!!!! He's Dead!!! Cus! Uncle Joe already has the Christmas money counted from the shake downs on the bookies! Rats, Working with the real gangsters... Uncle Sam is the real mob boss! Waste more tax money prosecuting people who are doing the same thing this government does every single day! Let's just continue to waste tax payers money with these trials that are based off CI testimony . 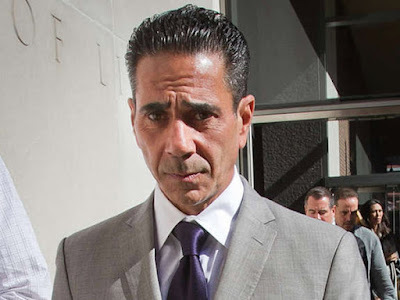 Jurors are wise enough to know these days not to believe a guy who is a career criminal who has turned Sammy the Bull to save his self from a jail sentence . Feds should build there own case not rely on these rats but if feds built there own case they wouldn't have one. What's your point? Tell me any made guy who's not greedy. I meen are you serious? #1 reason bosses get whacked. Greed. Don't Worry Johnny Chang Will Put His Wife On 60 Minutes! Nothin but a wired rat thing baby !!! I Always Said They Better Go Get A Job! But They Think There GANGSTERS! And There NOT!!!! Theses Morons Where NEVER!!!! GANGSTERS!!!! Remember That!!!! BACK!!!!! TO JAIL!!!!! FOR THESES MORONS!!!!! Everyone Is Waiting To See If Lance Gets Indicated! Will He Miss Another One!!!???? Club house for ten on 11th and Jackson ??? Did you mean that the Jackson street hang out was for rent ?? Once a pound a time in Philadelphia just look what you see is what it is ???? Everyone who see the Jackson street video look at the faces on video and see if they have a job pick out the ones that were mentioned and squeeze them and you can get some juice out of those want to beeeess!!!! I THINK LANCE IS WORKING WITH THE FEDS!!!!! I miss mousey. A real thoroughbred.. Does anyone have a clue that scarfos faction of the family is still in charge? Joesph ligambi is a loyalist to nicodemo scarfo....also..
ALSO... GO HEAD PHILLY YOU KNOW WHAT GUYS ARE STILL UNDER NICKY SCARFOS ORIGINAL CREW!!!! PHIL NARDUCCI IS THE BOSS!!!!!! TAKE THAT TO THE BANK!!!!! !